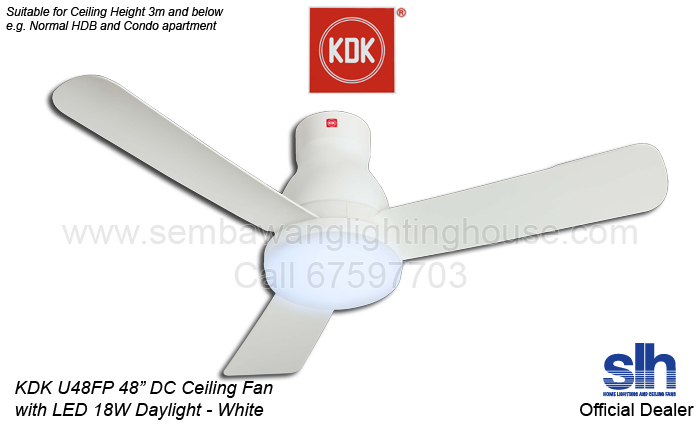 1 year warranty by KDK Singapore. Come with Singapore Safety Mark. 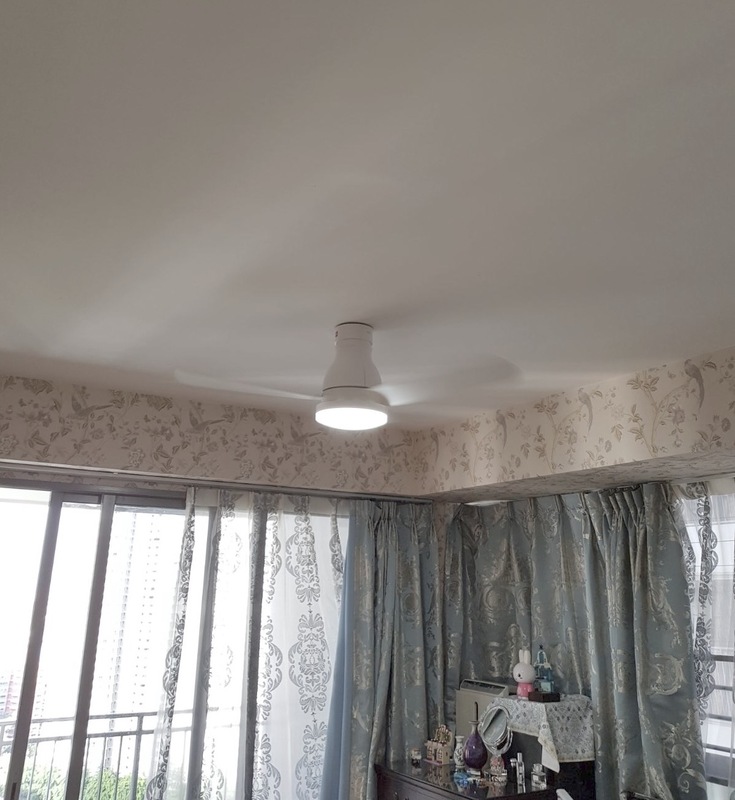 Suitable for normal HDB apartment height 2.6m or less. 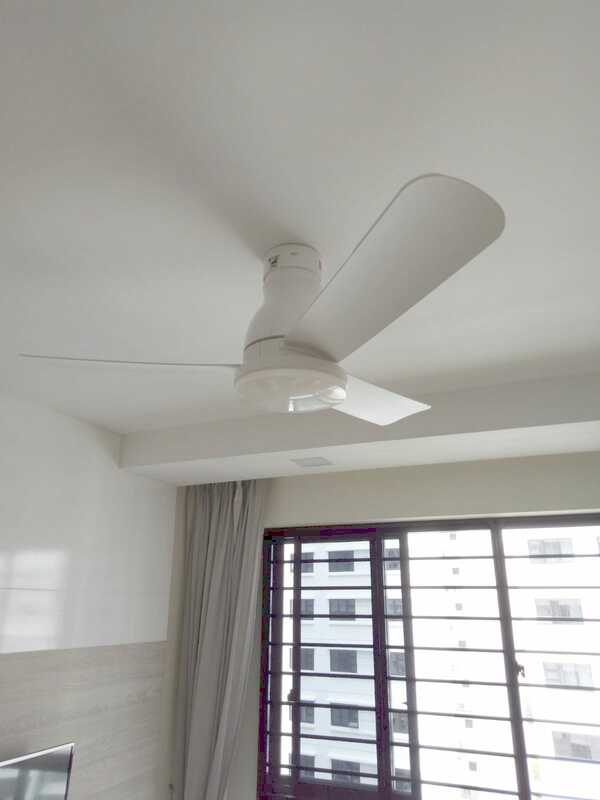 The electrician will bring the fan to your place, remove the existing light or fan, and fix up the new fan on the concrete ceiling. This promotion is not valid if you have false ceiling, height higher than 3m, or need extension. If you need new wiring point, or wiring extension or other works, the rates are listed here as a guide. When in doubt, please call 67597703 during 11am-8pm. Equipped with safety device: safety wire, safety plate. 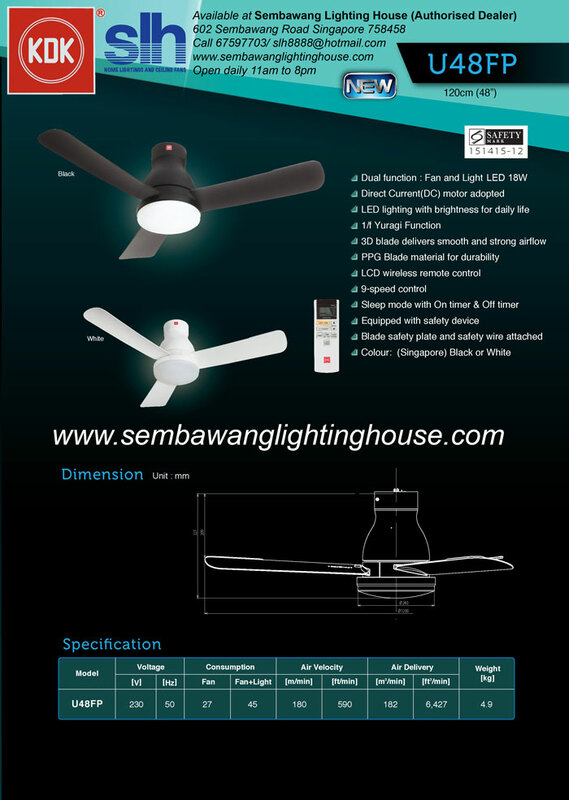 Warranty: 1 year Local motor, remote and LED.